Most, if not all, marine mammals are highly dependent on underwater sound and are thus at risk of being affected by the increasing man-made noise levels in the oceans. Why is sound so important to marine mammals? Sound is transmitted very well through water, much better than through air and depending on its frequency, propagate over several kilometers. This makes sound a much better long distance communication channel in water compered to light, as the visibility in the ocean is very low, at best perhaps 30 m, usually much less and often close to zero. Which i s way a lot of marine mammals have poor eye sight but very developed hearing and very complex sound communication among each other. Further explanation for this will follow later in the report. The physical properties of air and water are very different, which puts different demands on the animals hearing systems in the two media. Mammalian ears, such as our own, developed on land, are well suited to function in air. Sound is picked up by the outer ear, channeled through the ear canal to the ear drum, which separates the ear canal from the likewise air-filled middle ear. The sound pressure fluctuations sets the ear drum into vibration, which in turn moves the three middle ear bones (hammer, anvil and stirrup).The stirrup fits like a piston into the oval window, which makes the connection to the fluid-filled inner ear, and movements of the ear drum are thus converted into motion in the fluid of the inner ear, where the auditory sensory cells are located. These cells convert the motion of the fluid to electric nerve impulses, which are transmitted to the brain. In water the air-adapted ear works very poorly. This is for several reasons. The main reason is, as biological tissue mainly consists of water, sound can transfer with very low loss from the water and into the body, thereby bypassing outer ears and ear canal. The ear drum is thus not stimulated in the normal way and sound enters the inner ear by other routes via soft tissue and bones of the skull and lower jaw. This means that the sensitivity of hearing is lower than in air and more importantly, that the ability to determine the direction to a sound source is almost completely absent. Marine mammals have ears which are much better suited to function under water. This can for example be seen in seals, which in contrast to terrestrial mammals have better hearing in water than in air. Although the mechanisms behind their better underwater hearing are not completely known, it is likely that they have a specialized “window” in the skull, which is the main channel for sound from the water to the ear. Dolphins and porpoises have overcome the difficulties by an even higher degree of specialization. In these animals, together with the other toothed whales (odontocetes), the ear canal is completely blocked and non-functional. Instead the sound enters the head through the lower jaw, which is filled with a special type of fat with supreme sound conducting properties (sometimes referred to as “acoustic fat”). This fat channel attaches at its other end directly to the middle ear, which is encapsulated in a bony shell called the acoustic bulla. The bone of the bulla is among the densest and hardest bone material known in the animal kingdom and is very well suited to couple the sound in the fat channel into movement of the middle ear ossicles. In odontocetes, the acoustic bulla is not fused to the skull, but only attached by ligaments, which ensures that the fat channel is the only pathway leading sound to the middle ear. Porpoises have extremely good hearing in the ultrasonic range between 10 kHz and 160 kHz. Seals in contrast, do not hear well above 50 kHz, but have significantly better hearing than porpoises at lower frequencies. The large whales are well known for their use of sound in communication. Best known is probably the songs of humpback whales but all other baleen whales make low frequency sounds, well suited for communication over very long distances. In the deep open ocean, communication distances of hundreds of kilometers is easily attained; in shallow waters, such as the North Sea and the Baltic in the order of tens of km. It is not well known what the sounds are used for, but they most likely play an important role in mating behavior and they may also be involved in maintaining group structures and coordinate feeding. Dolphins are also well known for their communication. They use a range of sounds such as whistles, jaw clapping and ultrasonic clicks. The communication no doubt serves in maintaining social structures and coordination during cooperative feeding behavior. The range over which dolphins can communicate is in the range of a few kilometers or less. Porpoises use sound for communication too, but in contrast to dolphins they do not whistle and rely solely on very high frequency ultrasonic clicks, same clicks as they use for their echolocation. Due to the high frequency (above 100 kHz), they attenuate quickly with distance and maximal communication range is less than 1 kilometer for porpoises. Also seals vocalize underwater, but in the complete other end of the frequency spectrum than dolphins and porpoises. They make rough, grunt- or bark-like sounds with main energy around a few hundred Hz. The sounds seem to be used solely in connection with mating, either by males to attract females or in male-male competitions. Dolphins and porpoises have a sophisticated bio sonar, functionally very similar to what bats have. Both use very short ultrasonic signals (clicks) and porpoises are unique in that the signals contain virtually no energy below 100 kHz. The reason for this is unknown, but may be related to a need to remain undetected by their main predator, killer whales that have poor hearing above 100 kHz. Both dolphins and porpoises emit intense clicks directed forward in a narrow cone and listen for echoes bouncing of potential prey and surroundings. The rate of clicking is relatively low during orientation in open water (called the search phase), below or around 50 clicks per second. When the animal approaches an object of interest, the rate of clicking increases, ending with what is termed the terminal buzz in case of a prey capture. During the terminal buzz the clicking rate of porpoises is above 500 clicks per second. Sequence of echolocation clicks from a porpoise approaching and catching a (dead) fish. Ultrasonic recording transformed to be audible to the human ear. Very loud sounds, especially the shock wave created by underwater explosions, can cause immediate damage to biological tissue (acoustic trauma) and in severe cases lead to death. Damage can occur in the immediate vicinity of explosions, depending on the amount of explosives it can range from some tens of m to several km. For this reason many countries have adopted best practice procedures to minimize the risk to marine mammals. Such procedures can involve the use of marine mammal observers and passive acoustic monitoring prior to detonation and/or use of deterring sounds (seal scarers or smaller detonations) prior to the main detonation. Other sources suspected of being able to inflict acoustic trauma to marine mammals at close range are seismic surveys for oil and gas and pile driving of steel foundations for offshore wind farms. Another impact from exposure loud sound is temporary or permanent damage to the hearing, known as temporary threshold shifts (TTS) and permanent threshold shifts (PTS). Temporary threshold shifts should be familiar to everyone who have attended a rock concert or frequented a discotheque. It can last anywhere from a few minutes to several hours or even days. Although TTS is reversible and generally considered to have little direct consequences to the animal, it is known that repeated TTS eventually will lead to PTS. The long term consequences of a moderate hearing impairment for e.g. 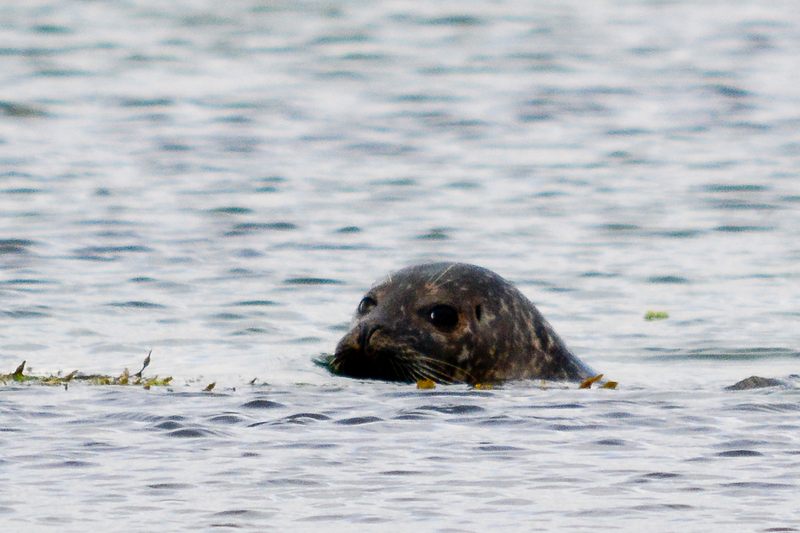 seals and porpoises are unknown and probably depend highly on the frequency range of the hearing impairment. Threshold shifts induced by human sound sources affect mainly the hearing at lower frequencies. Seals, which rely on low frequencies for communication, are, for that reason, probably at higher risk than porpoises. Probably the most common consequence of underwater noise on marine mammals is interference with the natural behavior of the animals. Sometimes animals, in particular seals, but also on occasion porpoises will interrupt their behavior when hearing a foreign sound of sufficient intensity and instead investigate the source of the sound by approaching it. More often, however and in particular for porpoises, the animal will swim away from the sound source. This behavior is actively exploited to reduce by-catch of porpoises in bottom-set gill nets by the use of acoustic pingers on the nets and to keep seals away from salmon farms by means of seal scarers. The latter is less successful than the former, however, as the seals often learn to associate the sounds with easy food (so-called dinner bell effect) and approach the sound source although they by this expose themselves to potentially dangerously high sound levels (cf. above on injury). Very little is known about the reactions of porpoises to ship noise. 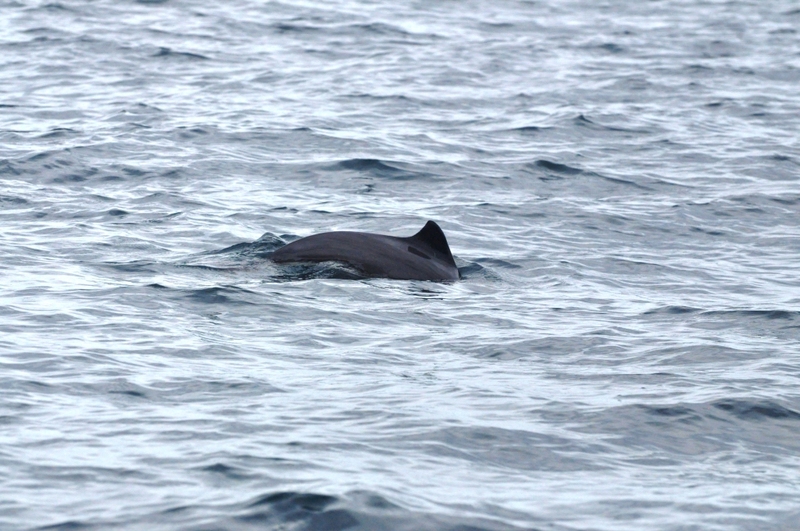 The experience of most sailing people is that porpoises avoid motor boats while they may often approach sailing boats, although attraction to motor boats can sometimes be seen. There is currently no evidence that porpoises generally avoid shipping lanes or areas with generally high levels of ship traffic, but no results from reliable studies of this is currently available. A well-known negative effect of noise is that it makes it harder to hear other, often more relevant sounds. This phenomenon is known as masking. Masking can severely affect the communication distances of animals, which will go down as masking noise increases. However, certain requirements must be fulfilled before a given sound can be masked by noise. Most important of all is the intensity of the sound. Noise, which is much lower in intensity than the communication sound will have very little, if any effect on reception of the sound. Secondly is it required that there is overlap in both time and frequency between masking noise and the communication sound. Last, but not least, the noise should come from the same direction as the communication sound in order to have maximal masking power. The need for overlap in frequency means that it is highly unlikely that the low frequency ship noise is capable of masking echolocation in porpoises. What the ship noise may affect is the detection of other sounds at low frequencies, which may be of importance for the porpoises in orientation and navigation. Seals, on the other hand, use sounds in the exact same frequency range where ship noise is most intense and are thus potentially more vulnerable to masking. Whether they in fact do experience masking of their mating calls requires that ships pass sufficiently close to the mating areas. As almost nothing is known about mating calls and mating behaviour in general for Baltic seals, and that even where it takes place is unknown, this question remains open. Illustration of masking of a 1 kHz tone by broadband noise (so-called pink noise). There are 10 tones of decreasing amplitude. Count how many signals you can hear. Importance of overlap in time. Same signals as above, but noise is only present between signals, i.e. no overlap in time. Count how many signals you can hear and compare to above. Importance of overlap in frequency. Same signals as above, but noise immediately around the 1 kHz tones has been filtered away. Count how many signals you can hear. W. W. L. Au and M. C. Hastings (2008). Principles of Marine Bioacoustics, New York:Springer. General introduction to marine bioacoustics. First half of the book has emphasis on the physics of measuring and describing sound, the second half concerns the biological use of sound. National Research Council (2005). Marine mammal populations and ocean noise: Determining when noise causes biologically significant effects, Washington D.C., National Academic Press. 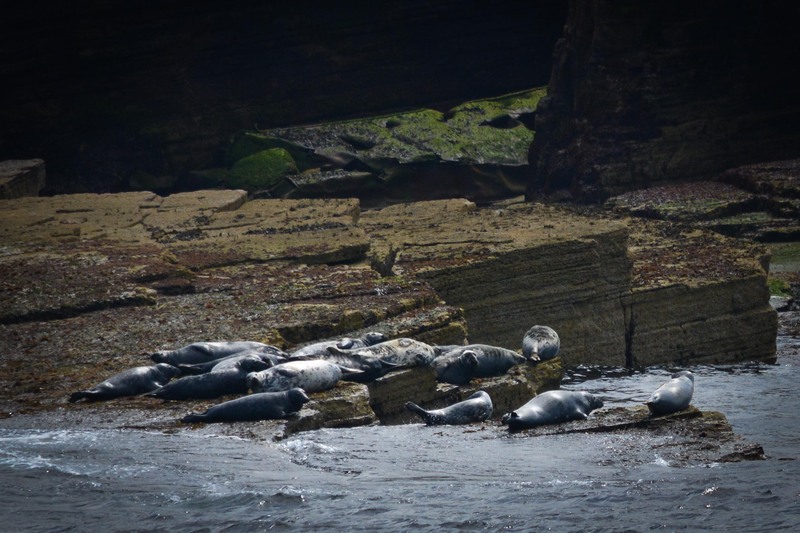 Review of the literature and discussion of how noise impacts marine mammals. W. J. Richardson, C. R. Greene, C. I. Malme, and D. H. Thomson (1995). Marine mammals and noise, San Diego, Academic Press. Very thorough review, no longer up to date, but still an excellent starting point for the study of effects of underwater noise. B. L. Southall, A. E. Bowles, W. T. Ellison, J. Finneran, R. Gentry, C. R. Green, C. R. Kastak, D. R. Ketten, J. H. Miller, P. E. Nachtigall, W. J. Richardson, J. A. Thomas, and P. L. Tyack (2007). Marine Mammal Noise Exposure Criteria. Aquat.Mamm. 33 (4):411-521. An excellent review of the current literature on effects of underwater noise on marine mammals and first attempt at defining limits for exposure. This is the BIAS website. Here we try to show the latest news and results from the Project. Hopefully you will find interesting information. If you have any suggestions or comments please leave a message. We appreciate your opinion.